Whenever you’re traveling somewhere new it’s best to become familiar with a few of the local customs to avoid offending anyone, and Ireland is no exception. For the most part, the Irish are some of the warmest and friendliest people you’ll ever meet. Around 2 million Americans are expected to visit Ireland this year, so with your holiday enjoyment in mind, The Irish Gift House has put together a top 10 list of thing that you should NEVER do during your visit. Traditionally in the US, St. Patrick’s Day is celebrated by enjoying a hearty meal of corned beef and cabbage. Not likely you’re going to find it on any menu in Ireland. 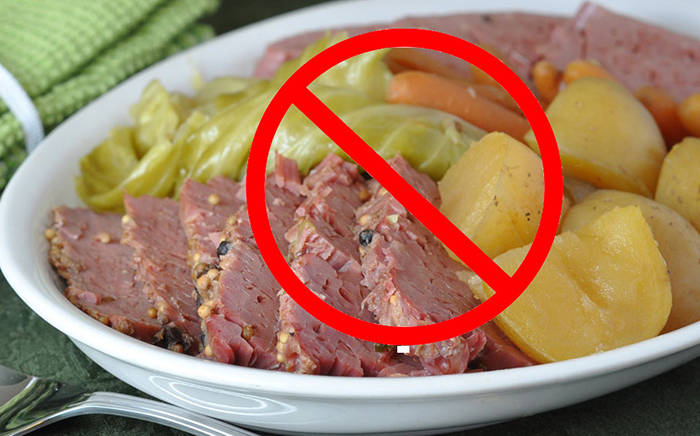 It is an American creation, and many mistakenly believe it is the national dish of Ireland. As a matter of fact the cuisine in many pubs is more continental imagine linguini and white clam sauce offered in many places. If you do find it on a menu, you can be sure it’s a restaurant that caters to tourists. Some travelers think that when they’re visiting European countries, they should try to employ the local colloquialisms. Trying to emulate the Irish accent is not advised. Locals dislike it when foreigners attempt to speak like them, so please refrain from saying “Erin go bragh” when you visit. But if a local says “Top o’ the mornin’ to ya”, you might get along with the reply “and the rest of the day to yourself” or not. So please don’t greet anyone with the phrase “top of the morning...” Rarely if at all does an Irishman ever use cliché Irish movie phrases. They’re considered stereotypical and you’ll sure to be viewed unfavorably amongst the locals. Never order an Irish Car Bomb while in Ireland (or from an Irish bartender). Though the shot-and-beer combo doesn't mean to offend (it only means to get you tipsy), its name is a rather insensitive reference to a dark era in Ireland's history. If you're craving the sweet, malty party drink, try making one when you go home...Stick with the Guinness, Jameson whiskey or Irish coffee. And don’t look for green beer that too is an American brainchild. Yes, this drink of Guinness stout, Bailey’s Irish Cream and Jameson Irish Whiskey is popular in America. This order will bring up old wounds and will most likely get you kicked out of the pub. The name originates from the many car bombings that took place during the Troubles in Ireland. It is also recommend that you don’t ask for a “Black & Tan” either. You’ll be asking for trouble. 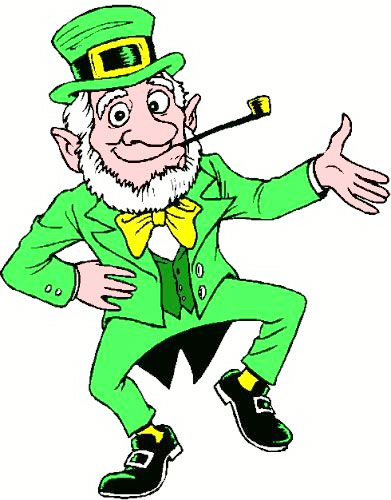 Tourists traveling to the Emerald Isle often find it amusing to ask the locals about leprechauns, as if these legendary little folk were real and commonplace. However, Irish citizens find it more tiresome than funny. So next time you’re traveling to Ireland, don’t crack any jokes about leprechauns, pots of gold or rainbows with the locals. Ireland’s capital city is great place to visit. There’s the Guinness factory, Temple Bar, Waterford Crystal factory and some beautiful shops and churches to discover. But the lush green countryside is surely Ireland’s prized possession. You’ll definitely want to explore rural areas, other cities and landmarks such as Galway, Belfast, Killarney National Park and Killarney lakes featuring graceful swans aplenty, Doolin and the Cliffs of Moher, Dingle and the famous fun loving dolphin Fungie. Like many Europeans, the majority of Irish citizens would be considered either Democratic or Liberal, so don’t plan on discussing conservative politics, Trump or any hot topics with any of the locals. Likewise spouting Liberal support can land you in deep trouble with a few locals. Better to just enjoy your trip and appreciate Irish charm and friendly fun loving people. Many visitors love to compare Ireland to their native country. This is kind of rude, and locals find it very irritating to constantly hear how things like food, culture, trends and customs compare to your America. So avoid making remarks about the things that are different and enjoy Ireland for what it is – a beautifully authentic country. Even if both sides of your family come from Ireland, don’t plan on bragging about being 100% Irish to any locals. Because the Irish people consider themselves 100% Irish and if you’re visiting from the America, you would merely be considered an Irish-American. Don’t even debate it either, as you definitely won’t make friends. If you mention which part of Ireland your family came from, locals may be willing to discuss your heritage. And you well know what they say about braggarts… nobody like them. Don’t expect everyone to have red hair and freckles, and if you visit the Emerald Isle this St Patrick’s Day don’t expect a sea of green garb! Many Americans wear green on St Patrick’s Day known by many as the ‘wearing of the green’ to celebrate their Irish heritage. In Ireland people wear a small bunch of shamrocks on their right breast rather than wear green clothing to signify their Irishness and its traditional connection with St Patrick. The shamrocks are blessed at Church ceremonies all over Ireland by either the local priests or bishops, this is known as Blessing of the Shamrock. 10. Don’t Expect Pubs to be All-nighters. One misconception about Ireland is that people stay up all night drinking at local pubs. Most pubs in Ireland close at either midnight or 1 am. However if you make friends at the bar or pub, you may be invited home to continue drinking until the wee hours of the morning. If you’re planning on visiting Ireland you’ve no doubt heard of the Blarney Stone, but some people recommend that you skip that site. This attraction has become something like the Disneyland of Ireland, with posed pictures and exorbitant fees and expensive souvenirs. There are so many more authentic things to do and see in this country, you may file this as tourist trap under things not to do in Ireland. But who among us has not been victim to Disneyland’s outrageous costs and long waits and yet had a wonderful time. I still wear my t-shirt stating "I kissed the Blarney Stone" and have the picture to prove it. So let’s leave that it up to you. So good luck to all the Irish and all those that wish they were. Visited Ireland 3 years ago. Had a beautiful time and great weather. Didn't do any of the "10 top things never to do in Ireland" Drove all around for 17 days no problem. Found the places where my great-grandparents came from in the 1800's Stayed at B&B's and the Irish people were warm and friendly.